We love when community networks are celebrated for their accomplishments and potential. Opelika, Alabama, started to build a network in 2010, and now local news proudly showcases the community as a Gig City. The Fiber-to-the-Home network in Opelika turned out to be a great investment for the community. After five years of work and $43 million, the network now boasts 3,000 customers. 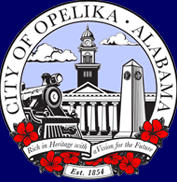 With such incredible high-speed Internet access, Opelika hopes to attract new businesses and encourage young people to stay. For more of the history of the network, check out our interview with Opelika Mayor Gary Fuller in Episode 40 of Broadband Bits.